The History of Mexico: From Pre-Conquest to Present traces the last 500 years of Mexican history, from the indigenous empires that were devastated by the Spanish conquest through the election of 2006 and its aftermath. The book offers a straightforward chronological survey of Mexican history from the pre-colonial times to the present, and includes a glossary as well as numerous tables and images for comprehensive study. The companion website provides many useful student tools including multiple choice questions, extra book chapters, and links to online resources, as well as digital copies of the maps from the book. For additional information and classroom resources please visit The History of Mexico companion website at www.routledge.com/textbooks/russell. 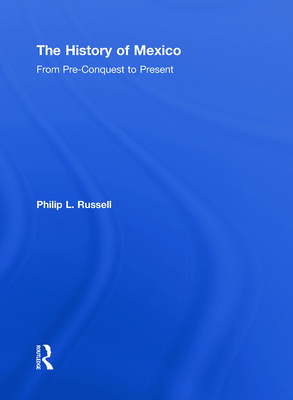 Philip Russell is an independent historian and author of Mexico Under Salinas.